Over the years technology has grown leaps and bounds. With each year it gets stronger, faster and more efficient. With each new advancement there is always a question, “what’s next?”. Recently, Joint Photographic Experts Group (JPEG) disclosed the future of image compression JPEG XS. But what is it? Is it a substitute for JPEG or something else? Here’s a closer look at what the technology brings for us in context of invention. JPEG XS is a low energy format that will be used to stream live video and VR over WiFi and 5G networks. It will help to get faster HD content on large displays and is perceived as the future of formats. It means faster stereoscopic VR streaming plus video streaming by drones and self-driving cars. The standardization of this new codec is done by JPEG Committee (formally known as ISO/IEC SC29 WG1). Don’t be confused, JPEG XS is for video streaming whereas JPEG is for downloading. The aim behind this new format is to stream the files as opposed to storing them on smartphones and other devices, thus saving valuable space. This was just an overlook to what JPEG XS is about; now let’s understand it in detail. 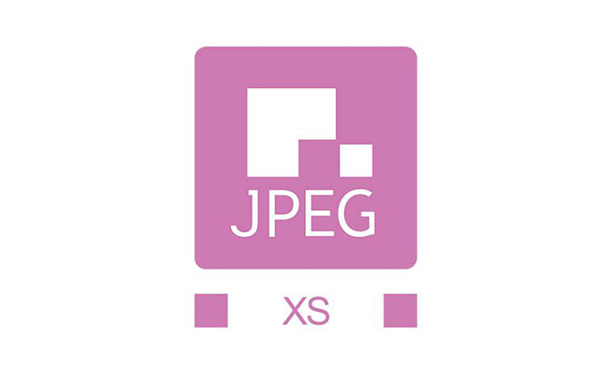 JPEG XS (ISO/IEC 21122) standard defines it as a compression algorithm with very low latency and complexity. It can be implemented on multiple platforms like FPGAs, ASICs, CPUs and GPUs and excels with high multi generation sturdiness. In a statement JPEG leader Touradj Ebrahimi said “We are compressing less in order to better preserve quality, and we are making the process faster while using less energy.”. As compared to JPEG image file format JPEG XS will be compressed by a factor of 6 as opposed to factor of 10 in JPEG. It will be optimized for a “visual lossless” quality of images as defined by ISO/IEC 29170-2 for both natural and synthetic images. All these properties make JPEG XS to be applied to the applications that work with uncompressed image data. This includes 3G/6G/12G-SDI, IP transport (SMPTE 2022-5/6 & SMPTE 2110), real-time video storage, memory buffers, omni-directional video capture system, head-mounted displays for Virtual or Augmented Reality and sensor compression for the Automotive Industry. All this allows JPEG XS to offer enhanced resolution and frame rate, while offering a visually lossless quality. JPEG XS will be used to compress lossless videos, VR content, and games over wireless networks. It is said to work on present systems with only software updates, whereas smaller devices will require “next generation” hardware. Unlike other video standards, JPEG XS doesn’t attempt maximum compression by using extra processing power or time. It instead presumes that the device will be used on a high-bandwidth 5G cellular or Wi-Fi network and focuses on delivering ultra-low latency and superior energy efficiency. How Will JPEG XS Work? JPEG XS is an open source and has a universal HDR coding format suitable for professional video transcoding. It is said to be used in movie editing, space imagery and professional cameras. Visually lossless for compression ratios up to 6:1 for both natural and screen content and for at least seven encoding and decoding cycles. Low complexity implementation on CPU, GPU, FPGA and ASIC avoiding any serial bottleneck in the encoding and decoding process. Latency of one encoding and decoding cycle not exceeded by 32 lines. FPGA implementations may not require any external memory and should not occupy more than 50% of Artix7 XC7A200T or 25% of a Cyclon5 5CEA9 when applied to 4k60fps 4:4:4 video content (with 8-bit colour precision). An i7 processor should be able to run an optimized software implementation in real-time for 4k 4:4:4 8-bit 60p content. It will boost efficiency for broadband and 5G networks, and save valuable disk space. No need to compromise with the image quality once compressed. It will not be easy to identify the difference between original video and compressed one. JPEG XS will be used in professional applications like movie editing, space imagery and professional cameras. Consumer electronics will also use it in future to come. Surely, the new image format will bring a revolution into video industry and all will start using it. From time to time as old technology is replaced and individuals adapt themselves to the new discovery same will be the case with JPEG XS. It will be used with consumer electronics like drone, AR, VR, self-driven cars and what all you can think of. As the image quality will not be compromised it will definitely become personal favourite of all. With disk space becoming expensive and hard to manage a format that will help to save space and that will make broadband, 5G efficient will be the first choice. We cannot overlook how JPEG has made its mark same can be expected from the new format. Developers have high hopes with this image format and even the video editing people are looking forward to use it.